Whistle Music is a rare and specialized art in the melodious world of music and Mr.Siva Prasad has mastered it to perfection, finding himself a prestigious place in the galaxy of enchanting musicians. 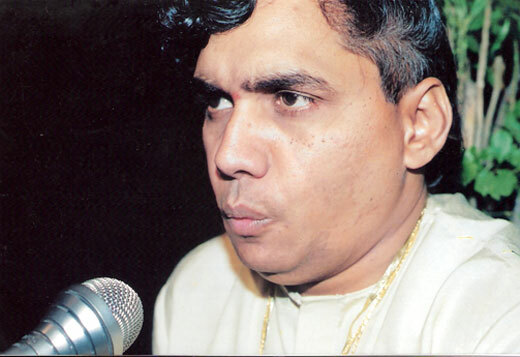 A gifted prodigy of ‘Carnatic and Hindustani Music on Whistle’, Whistle Wizard Mr.Siva Prasad, the 9th child of Late Sri K.S.V.Subba Rao and Smt.Rajya Lakshmi,was born on 26th April, 1955 in Bapatla, a coastal town of Guntur District, Andra Pradesh, India. Hailing from a family of Scholars in Arts & Sciences, he received no formal initiation into the world of music nor any special instruction other than his own intense interest and enthusiasm for performing music through whistling. 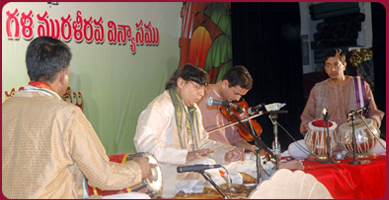 He had the rare opportunity of attaining guidance from the legendary Carnatic Vocalist Dr.M.Balamurali Krishna. His meetings with the immortal Sehnai Meastro Ustad Bismilla Khan inspired and rekindled in him the love and fascination for 'Hindustani Music' Added to this, the grammar and text of music imparted by the reputed flute Vidwan Sri N.S.Srinivasan has enriched his talent and made Mr.Siva Prasad...The Complete Artiste.